Replenishing vital nutrients after harvest is key to next season’s new bud growth. Post-harvest nutrition is a key event in the orchardist’s calendar. Once the fruit is off the tree it’s time to replenish the tree’s reserves for next season. The window between fruit removal and leaf fall is narrow but it is a critical period to get right. It’s a golden opportunity to top-up vital nutrients to maximum effect by working with what the tree is naturally doing; translocating nutrients and carbohydrates from the leaves back into the buds and woody tissue in preparation for winter dormancy. Early season growth potential is determined by the nutritional concentration and carbohydrate reserves that have been built up in the buds at leaf fall. So once each variety is harvested you need to implement your post-harvest nutrient plan. The best time to apply post-harvest nutrients is as soon as practically possible after each variety has been harvested. To maximise nutrient uptake the leaves need to be in good condition and fully functioning. Don’t wait until the last variety has been harvested before implementing your program since leaf condition on the early maturing varieties have already deteriorated significantly. Root activity is also largest immediately post-harvest so maximise this by methodically applying post-harvest fertiliser to each variety as soon as possible following the last pick. Calcium is required for synthesis of cells in the growing pollen tube and determines direction of growth of the pollen tube; it also plays a fundamental role in plant adaptation to environmental stress. In fruit crops it is required in high quantities, in some cases in amounts equal to that of nitrogen. Calcium is also shown to participate in the complex responses of plant cells to environmental stress. Foliar applied Calcium applied post harvest will ensure next season buds have sufficient Calcium reserves for flowering in spring. Remember Calcium will not be translocated at budburst into flowers and leaves until there is sufficient root growth when the soil warms up. So having a reserve of Calcium available in fruit buds will ensure levels are adequate over flowering and fruit set and this helps to build strong fruit. Healthy apples ready for picking. Boron is most effectively applied immediately post-harvest. Boron is needed for pollen tube formation and therefore fruit set. Good boron levels mean more seeds are set; the higher the seed numbers, the higher the calcium levels in the fruit. 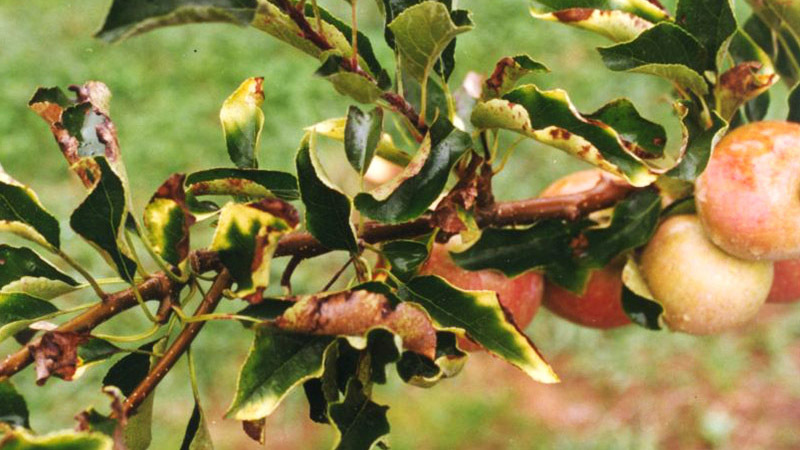 Zinc is an often misdiagnosed, under-rated or ignored trace element, yet a zinc-deficient orchard will be responsible for significant production losses if not addressed. Zinc is important for the formation and activity of chlorophyll and in the functioning of several enzymes and the growth hormone auxin. Low levels of auxin, as a result of zinc deficiency, cause severe stunting of leaves and shoots, commonly known as ‘little leaf syndrome’. It can also be responsible for blind buds. Symptoms can be erratic whereby some branches show symptoms and others don’t. Post-harvest sprays are the best opportunity to get zinc into the tree, allowing this trace element to be translocated back into the tree and buds as the leaf senesces. Please note, that a zinc based fungicide program does not address an underlying zinc deficiency. Magnesium is the central molecule of chlorophyll, the green colour of the leaf. Without it, photosynthesis cannot occur. Other equally important but less known roles of magnesium include: energy transfer; cell wall formation; protein, starch and oil synthesis; and it assists with nutrient uptake from the soil to the roots, especially phosphorus. 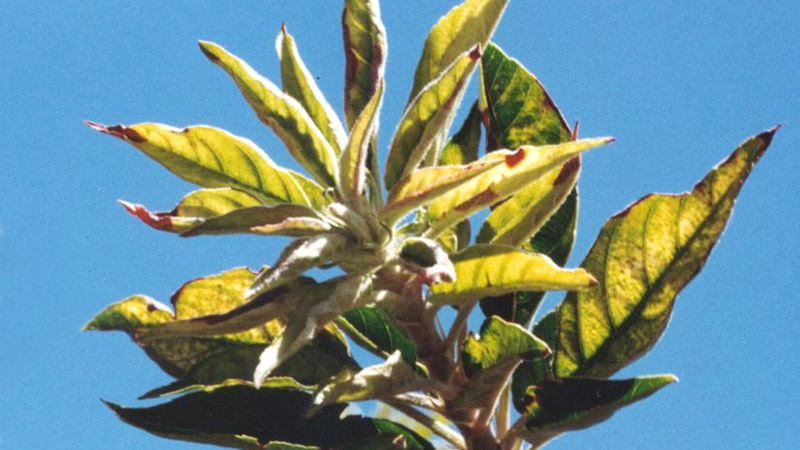 Magnesium is very mobile in the plant and so a deficiency is first seen in the older leaves. Ensuring the floral buds have adequate nitrogen is vital to their viability, which is their ability to set fruit. It also lowers biennial bearing tendencies. Autumn is the best time to apply nitrogen to ensure adequate nitrogen is supplied to the floral bud. It has minimal effect on spring shoot growth but has the highest impact on final fruit set compared to applying nitrogen in spring or summer. On soils where soil nitrogen reserves are known to be low, a soil-applied solid nitrogen will also be needed. Try to target 40 per cent of the total trees’ nitrogen requirements post-harvest. Leaf samples taken in February showing nitrogen levels less than 2.5 per cent, indicate nitrogen applied in autumn would be beneficial. Molybdenum is essential for the chemical changes involved with nitrogen assimilation; ie the conversion of nitrate to ammonium inside the plant. It is therefore important for chlorophyll and enzyme formation. Mo helps with hardening off early shoot growth due to excess Nitrogen uptake and thus helps to protect from frost damage. Phosphorous is only taken into trees through roots from the soil. 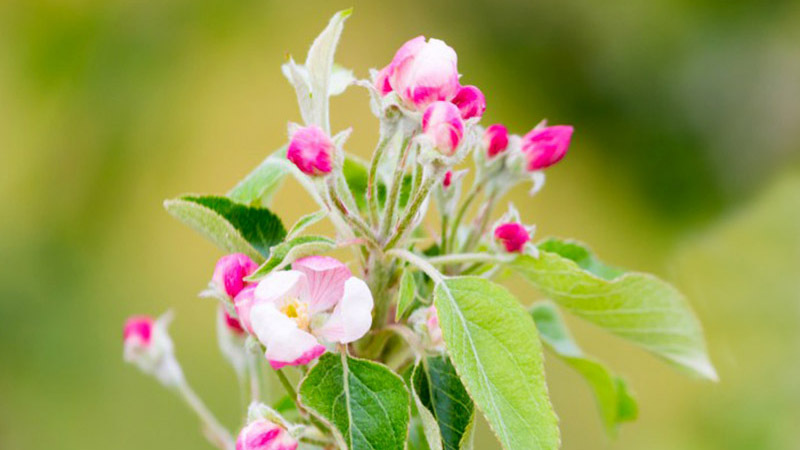 Apple tree root activity is at its largest post harvest so an application of high quality readily available P to the soil at this stage will be taken in to the tree and utilised. Plants need phosphorus at all growth stages, particularly in early growth stages as it is necessary for cell division and growth within the plant. Post-harvest to leaf drop period is a relatively narrow but important window to apply nutrients. The key nutrients to focus on are calcium, boron, zinc, magnesium and Molybdenum. Foliar sprays are very effective post-harvest as nutrients applied to the leaf will be translocated back into the tree and to the buds as the leaves naturally senesce. 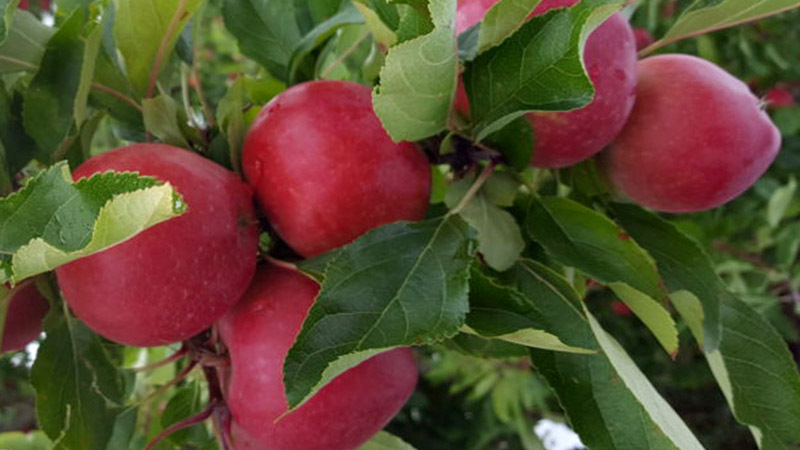 Post-harvest nutrition is an important strategy for orchardists to sustain high yields of quality fruit. It can lower biennial bearing risk, maximize early season growth potential, improve fruit set and is the best time to apply some key nutrients. Don’t miss this opportunity! HortPro have all these nutrients available to ensure your trees’ nutrient status is optimised. Acknowledgement: The above has some info extracted from an article by Dean Rainham, Horticultural Consultant at AgFirst dean.rainham@agfirst.co.nz . Also Information was supplied by Dr. Deepak Mathur, Ph.D Senior Technical Manager (International) Agrichem Australia.